Where to begin with Botswana? 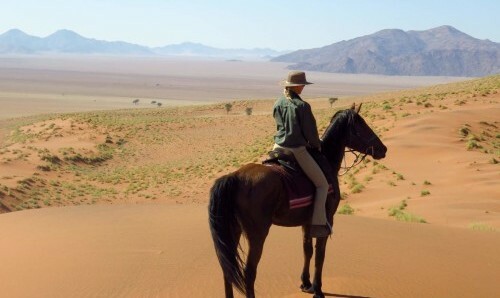 A horseback safari in Botswana is the crème-de-la-crème of horse riding safari holidays. 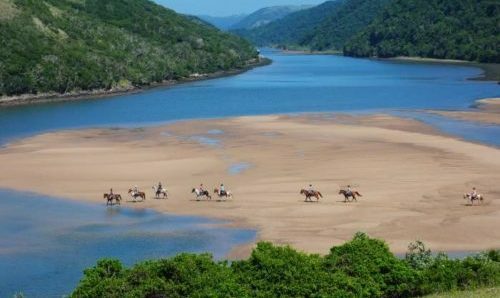 It is on many riders’ bucket lists and is therefore considered one of the best places on earth to horse ride. Botswana boasts a huge array of wildlife, huge fence-less landscapes and scenery which is out of this world. 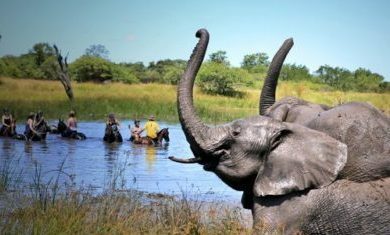 The guiding and horses available in Botswana are exceptional, with many years of expertise under their belts. 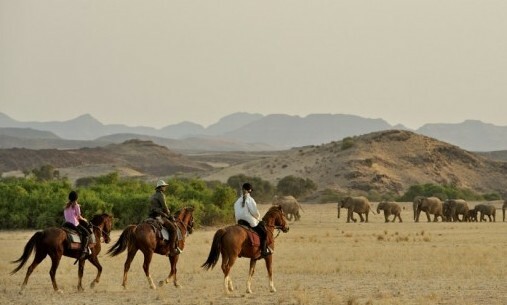 The scenery is wonderfully varied and exciting, with vast difference between the different areas available to horseback safari across. 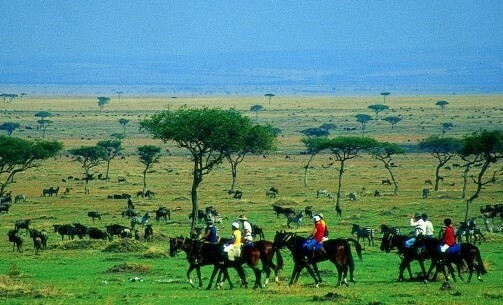 There are three main areas which are used for horseback safari in Botswana. The Okavango Delta is one of Africa’s unique treasures and is therefore one of the most important and beautiful wildlife sanctuaries on the continent; often referred to as Africa’s ‘Eden’. A constant and reliable source of water all year round, making the Okavango Delta an ideal safari destination at any time of the year. The horse riding in the Okavango Delta is often what you will visualise as your ‘classic’ horseback safari. 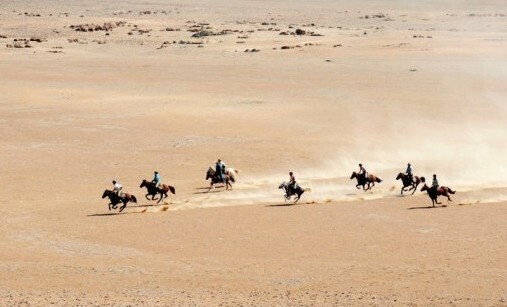 Cantering alongside giraffe and zebra, coming across elephant on horseback and being the only people for miles around. Bliss. The Delta really is a truly special place for a horse riding holiday. The Makgadikgadi salt pan is in north-eastern Bostwana and located in the middle of the dry savanna that covers the area. They are not a single pan but a jigsaw, with several sandy desert lands in between. A dry salty clay crust covers then pans most of the year, but are seasonally water and grass covers them. Making the pans a refuge for a wide range of birds and animals in this very arid part of the world. Horse riding in the Makgadikgadi is like riding out onto a different planet. 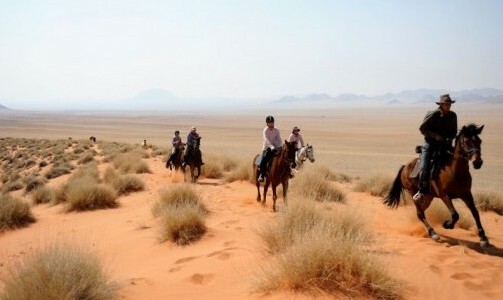 The bizarre and mesmerising landscapes making for some spectacular riding and unforgettable horse riding adventures. The landscape and unique wildlife which inhabits the Makgadikgadi makes a fascinating contrast to riding in the Okavango Delta. Therefore making a great combination ride if you really want to experience the best Botswana has to offer. The Tuli Block, known as the ‘Land of Giants’, is found on Botswana’s eastern border, between Zimbabwe to the north and east and South Africa to the south. 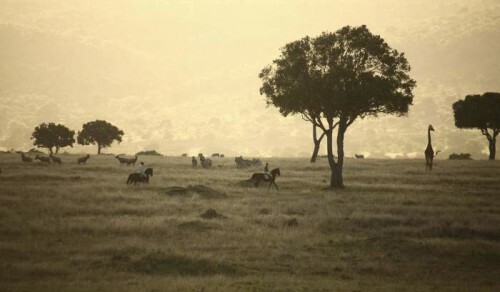 The area protects and conserves its nature reserve – known as the Northern Tuli Game Reserve. The are is famous for its wildlife and is home to a variety of wildlife species including lion, cheetah, leopard, African wild dog, large herds of elephant, a multitude of plains game like zebra, wildebeest and giraffe, as well as over 350 species of birds. 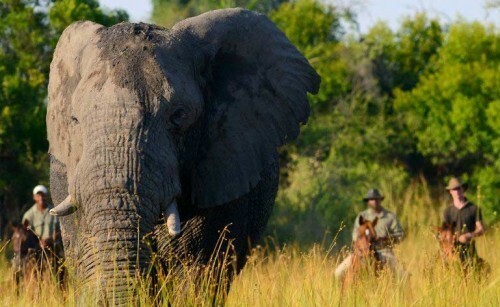 The riding and game viewing here is extremely exciting and is therefore a great place to horseback safari in Botswana. 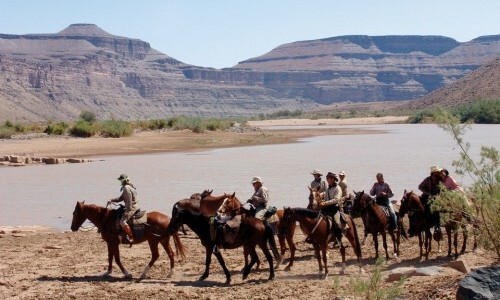 Horse riding safaris here are paralleled to those of the Delta and the Makgadikgadi in terms of the quality of guiding, the horses and the abundant wildlife. The camps are not quite as luxurious; however consequently, this makes them ideal if you are looking to travel on a slightly tighter budget.